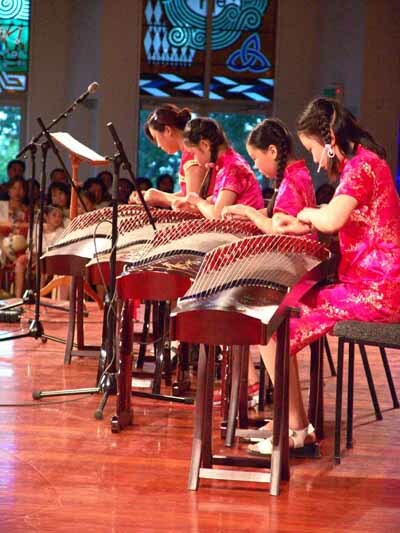 Asian Tsunami Relief Concert, a massive funding activity launched so far by New Zealand Asians, proved to be very successful when its curtain dropped on Saturday night, 22 January 2005, with $25,687.35 collected, beyond the target the organizer had expected. 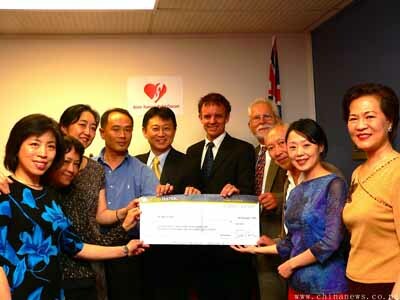 The fund raising in the form of concert, seen as what may be the best way for both tribute and help to the Tsunami survivors, was initiated by noted NZ public figures Kennith Wang MP, Simon Kan and Stella Li, and prepared in conjunction with the leaders of Chinese, Indian, Korean, Indonesian, Pilipino and Bengali communities in Auckland. More than 800 people gathered at Auckland Parnell Cathedral of Holy Trinity that night, almost filled up with the hall, to enjoy the 3-hour high quality performance by about 100 performers from different Asian communities. The atmosphere was alive with message of goodwill, so much so that audience and performers joined on the stage by the end, hand in hand, singing “We are the world” on the beats of the music, pushing the concert to the climate. The voice conveyed the celebration of humanity across race, religion and border, and presented NZ Asians’ strong support to their brothers and sisters. The fund was raised mainly by ticket selling, supplemented with collection from on site auction as well as interval donation. It is worth mentioning that over $ 4000 of the total was contributed alone by Wan Fang Souvenir Group, one of the noted Chinese businesses in Auckland. The money raised will soon be transferred to the affected nations through Tear Fund.